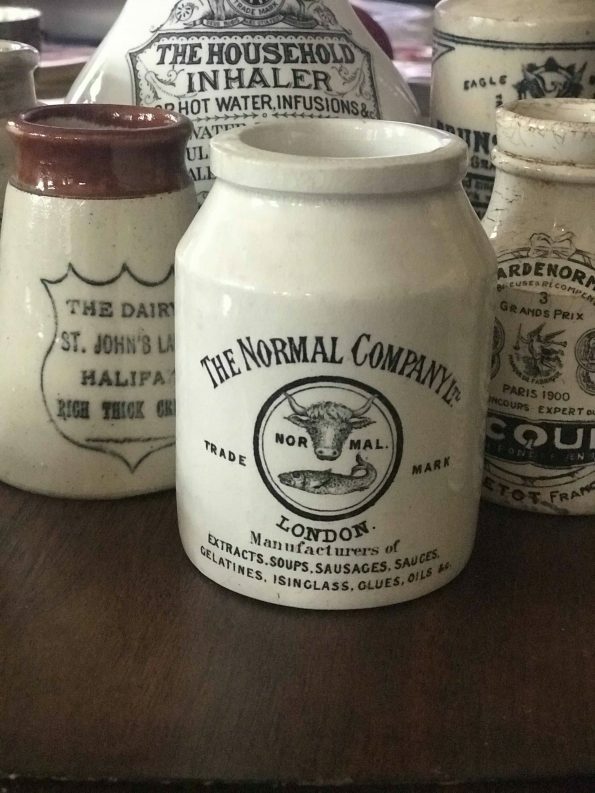 Home/Antique English Advertising Pots/Reserved for Diane – Rare Antique English Advertising Pot – The Normal Company Ltd. 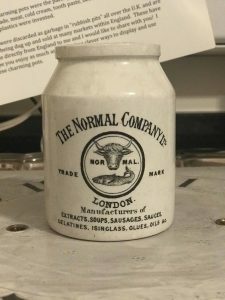 Reserved for Diane – Rare Antique English Advertising Pot – The Normal Company Ltd. 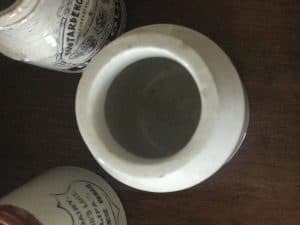 This wonderfully charming pot is in excellent clean condition with overall clean crazing and a couple of very tiny flea bites around the inside and exterior of the mouth. 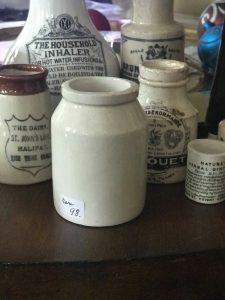 Amazing pot to add to your Black and White Advertising Pot Collection.